If you’re looking for a solution for gift wrap clutter, look no further! I’m sharing a tutorial for creating my DIY gift wrap organizer, a super easy but effective solution for storing your gift wrap! 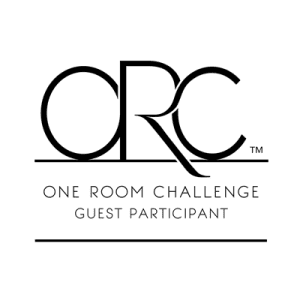 It’s November and I’m entering the home stretch of the One Room Challenge! It’s been quite a ride, but I’m definitely ready to get off this ride and let my kiddos and I enjoy using the space. If you’ve just stumbled upon my little One Room Challenge mini-series you can take a peek at the room we’re transforming (complete with BEFORE photos) HERE. You can also read all about the design plans HERE. 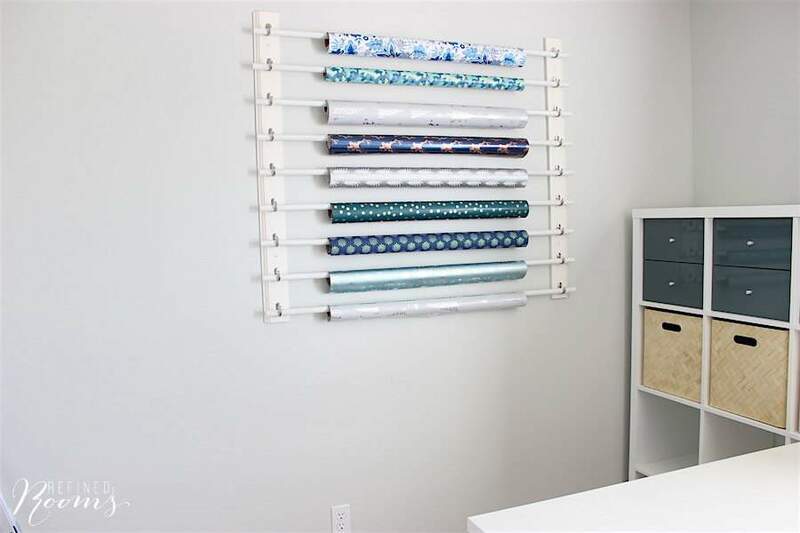 This week, we tackled the last of the mini-projects for our new hybrid homework/craft room, a fun, easy DIY storage solution for gift wrap! Everyone has their obsession. For some of my friends, it’s purses. For others, it’s shoes. Not me. Hi. My name is Natalie and I’m addicted to pretty gift wrap. I’m not exactly sure what the attraction is, but I’ve always been obsessed with gift wrap. And I have a fairly extensive collection that I used to store under the guest room bed. But once we made the decision that the guest room would be a guest room no more, I wrestled with the question of where to store my gift wrap. And then one day it dawned on me — heed my own advice and take advantage of the vertical space in the new craft zone! 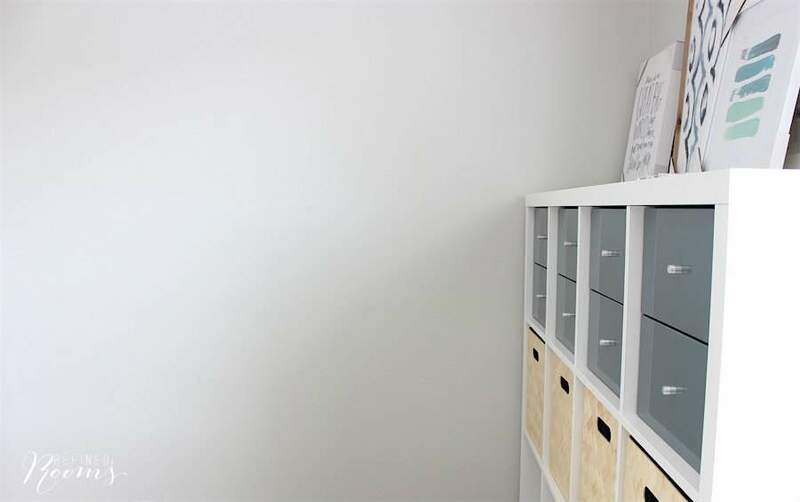 So the decision was made to store gift wrap on some sort of wall-mounted storage system. First, we painted the anchor pieces and the dowel rods (thank goodness we’ve had unseasonably warm temps here, which made spray painting outside in November possible. Next, we determined what the spacing between each set of hooks should be on the anchor pieces. We then marked the hook placement spots along the length of each anchor piece. We lined up the two anchor pieces next to one another and attached the hooks, making sure that they were even across the two boards. We played around with the anchor piece placement on the wall to determine how far up/down and left/right on the wall to place them. We used a dowel rod to determine the optimal spacing between anchor pieces (which ended up being 41″ apart). 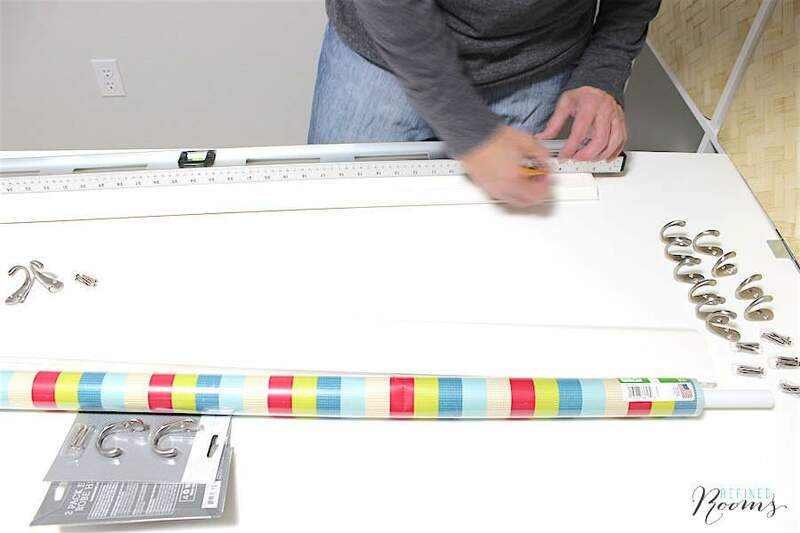 We took into account of “jumbo size” gift wrap rolls, so that our organizer would be able to accommodate these larger size rolls when we have them on hand. Next, we drilled pilot holes in the anchor pieces (and into the wall) near the top and bottom of each board. 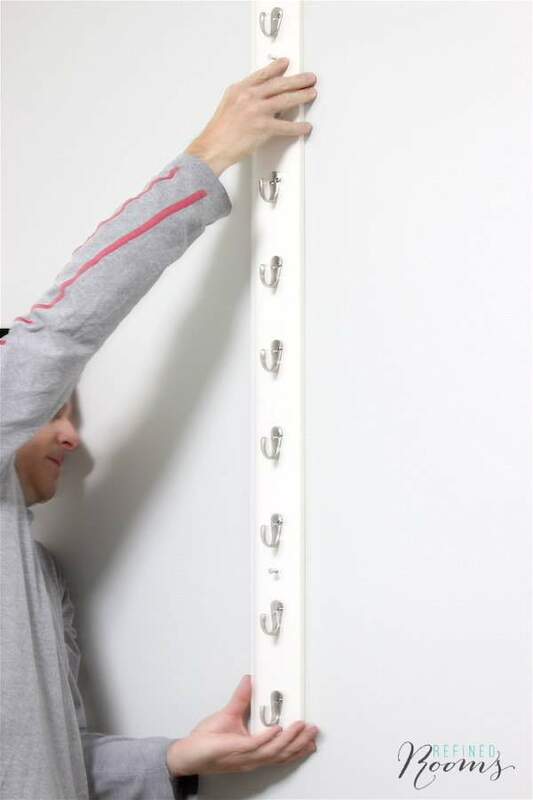 We then screwed the anchor pieces into the wall at these four points, using wall anchors to hold them firmly in place. 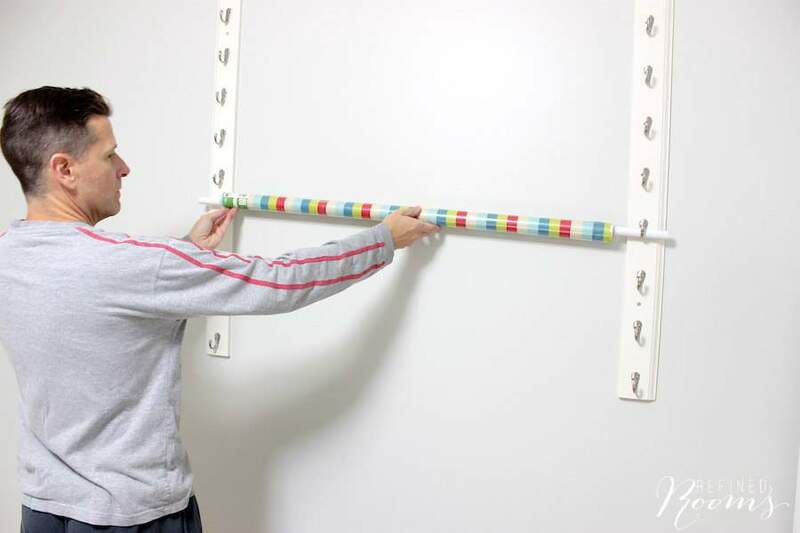 Then came the moment of truth: placing a dowel rod and making sure that it’s level! 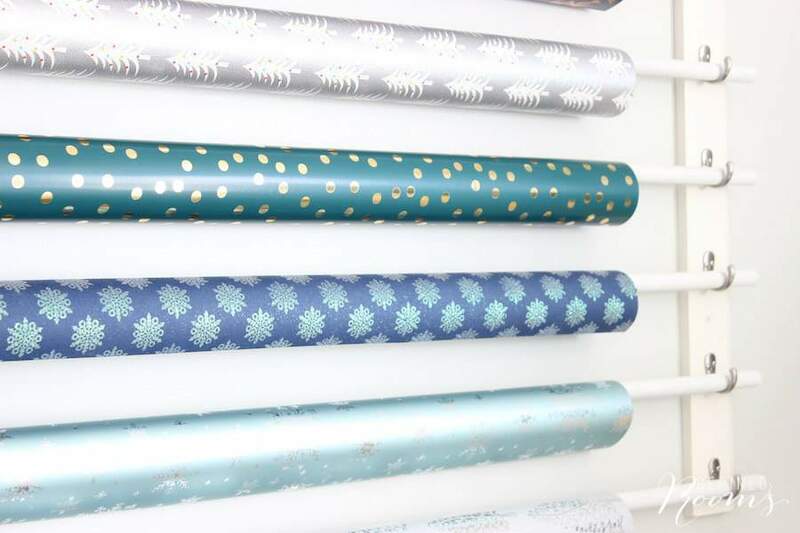 Now for the FUN part…decking it out with holiday-themed gift wrap to prep for the upcoming holiday gift wrapping tsunami that’s just around the corner. SO EASY! And it turned out beautifully! 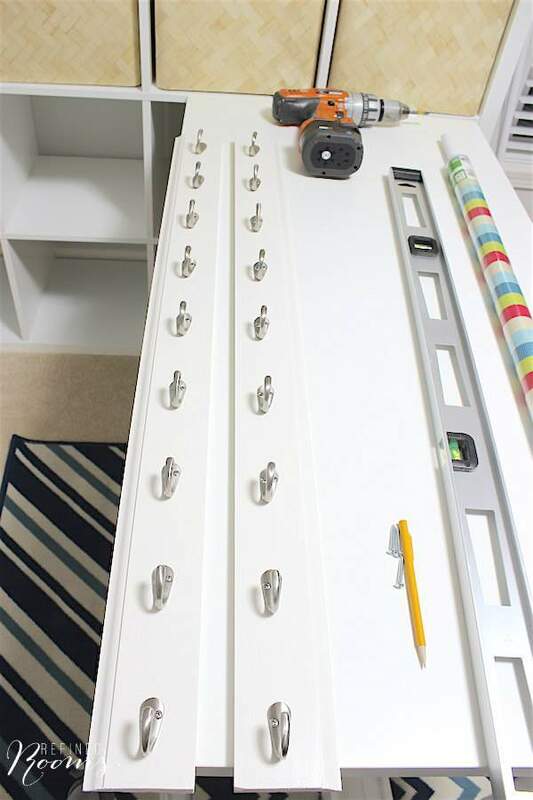 We considered several options for supporting the dowel rods, including oversized cup hooks and Command Hooks. 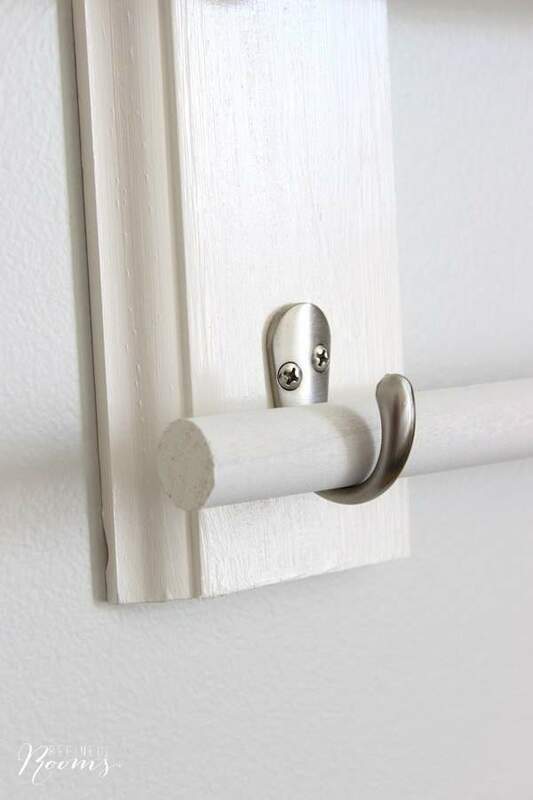 Although the robe hooks were a bit more pricey, I’m super happy with them. 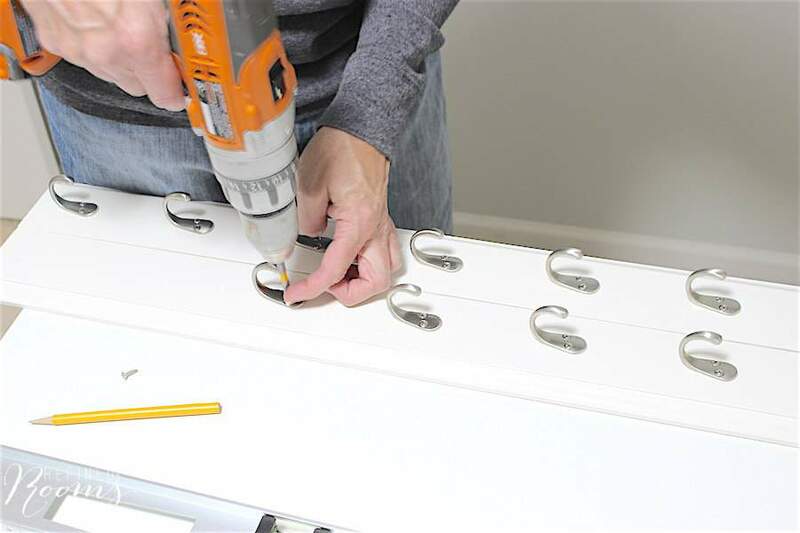 They are the perfect size for holding the rods, and they allow me to easily lift the rods and take them down when needed. 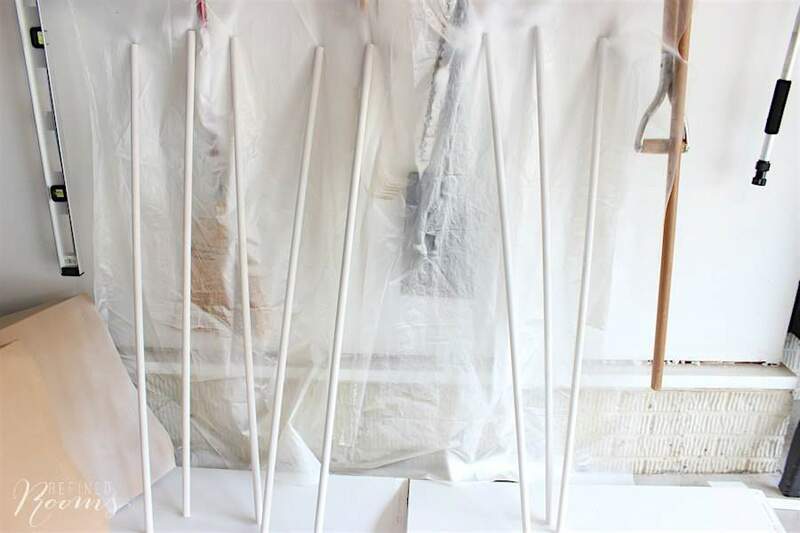 This project is something that a beginning DIYer can definitely tackle. 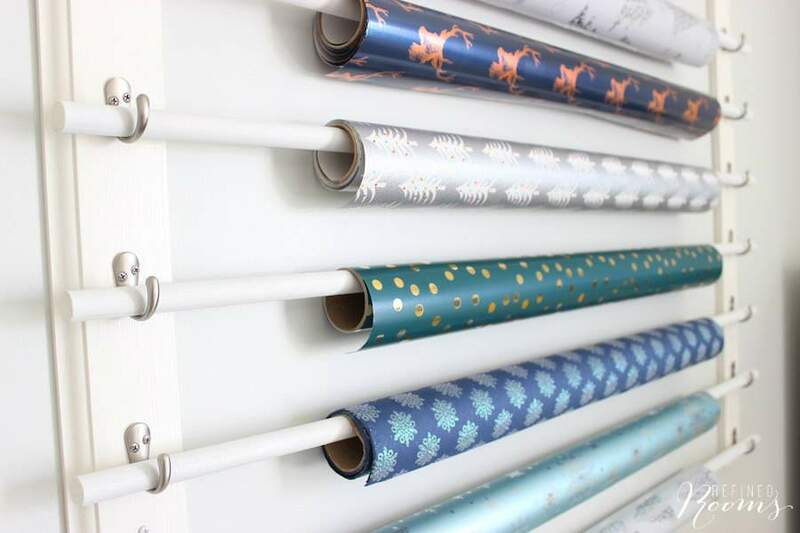 But if DIY projects just aren’t your thing, check out this round-up of some of my other favorite gift wrap storage solutions, just in time for the holidays! Oh, and don’t forget to check out Calling it Home to see all 200+ incredible room makeover transformations this season spearheaded by both featured participants and guest participants in this season’s One Room Challenge. Ready to get epically organized? Get access to 100+ printable pages to help you organize your home and life! Awww, you’re too kind! I am loving it though! great idea!! 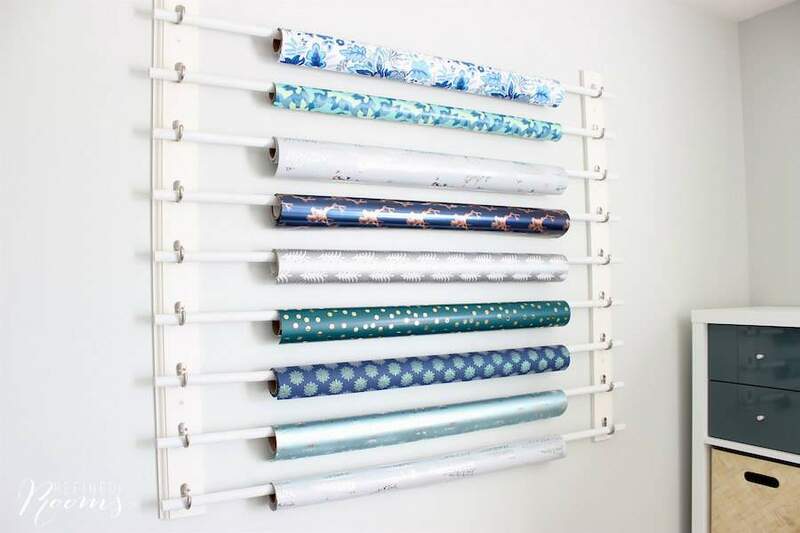 I may have to try that with all my leftover wallpapers! It would definitely be a great solution for that as well!